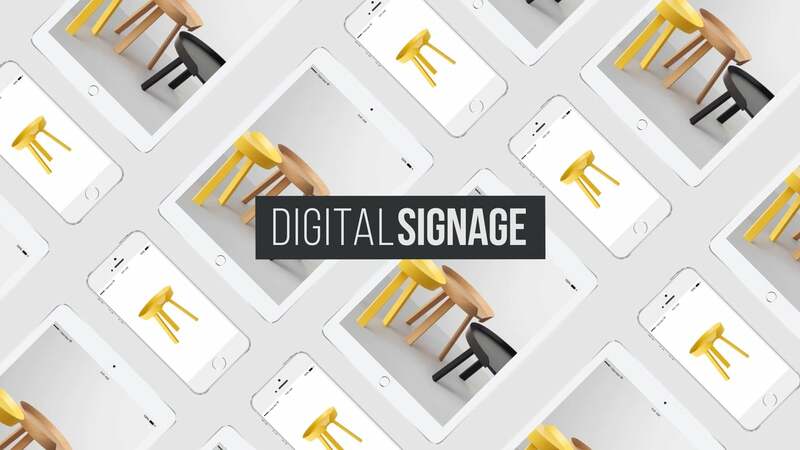 Whether you have already tried your hand at digital signage or not, it can be safely said that digital signage is easy. It is easy to create, update, manage and cast. The quantification of return on investment or ROI is the challenge most investors and brands need to defeat to enjoy the benefits of digital displays truly. In case you are wondering about the true nature of digital signage in advertising, just remember the extensive use of the LED, LCD and plasma displays at airports, bus stations and train stations to convey community news, weather updates, transportation updates and brand messages. These dedicated digital displays serve more purposes than one, but when it comes to reaching out to the target audience with a brand message, the metrics of penetration and conversion traverse into the grey zone. ROI about digital signage can be quite dubious since in contrast to website visits and store visits; there is no way to measure the “bounce rate” or “conversion rate” of the brands. The problem is – the metrics of ROI have evolved along with the evolution of display technology. The advent of WordPress into the world of displays and out of home advertising has made the calculation of returns and monitoring of the key performance indicators a lot easier than before. For digital signage at restaurants, bars, and casinos, it is much easier to measure the ROIs. In case of quick-serve restaurants with digital ordering systems or simple dine-ins with digital menu boards, the owners can easily monitor the metrics since they can see them as tangible factors. For example – the display of specific items from the menu on the digital signboard has increased sales by up to 22% at some restaurants. However, when the area is a school or a college and the target groups are students, it is rather difficult to measure the return on investment since the key performance indicators are rather covert and non-traditional. Why is WordPress leading the digital signage world? WordPress is making the process quite straightforward with the introduction of QR codes, barcodes and monitoring of two-way communication between the server and the user. WordPress supports the use of third-party plugins that can generate QR codes and barcodes for mobile devices. Users can easily scan them from the digital signage for schools and colleges to view the content on their mobile devices. Hosting the content on WordPress websites has its advantages. WordPress is cheap and easy to use. Almost all operating systems support WordPress websites. You can access these sites from several contemporary browsers. These sites use conventional KPIs, and their ROIs are easy to measure. WordPress allows the implication of industry standards for digital signage ROI. Recent studies show that the use of digital displays for marketing and advertising increases customer satisfaction rate by about 40%. These display systems have the power to convey to-the-point marketing messages in an easy to perceive way. Target groups in educational institutions are more focused, and the employment of OOH advertising often yields better returns. Although a lot of key performance indicators are missing in the traditional one-way display systems (considering they do not use QR codes and barcodes), they offer a direct measure of the endpoint metrics that involve rents, purchases, registrations, and memberships. A lot of institutions prefer the use of signage in the communication of emergency and safety messages. The mass notification emergency communication (MNEC) systems in the educational institutions often make use of digital signage systems for quick circulation of messages regarding bad weather, updates about health concerns, student surveys, upcoming examinations and everything else they deem an emergency. This causes a mass shift from the concept of Return on Investment to the Return on Objective. Return on objective or ROO is a flexible new approach that relates to event measurement. WordPress has a flexible HTML 5 based core code that supports the event measurement for the returns. Interestingly, a number of WordPress sites that include plug-ins to measure the outcome of social media activities and shares based on the advertised events report the more accurate measurement of the ROO. ROI becomes irrelevant in case of digital displays that showcase the updates for events and meets. WordPress developers have kept these concerns in mind while developing the themes, plug-ins, and frameworks for digital signage. As a result, the use of such flexible and customizable signage systems in the sphere of education is increasing by the day. WP enables the complete measurement of ROO from these campaigns and the measure of ROI, wherever relevant. By the end of 2023, the market share for digital signage will go to a whopping 31.71 billion dollars. This is due to the mass acceptance of this form of advertising; the average cost of installation is going down by the minute. WordPress is also contributing significantly to the cost-cutting mechanism that brands are employing as a part of their branding and marketing campaigns. Just like any other form of conventional advertising and PR campaign, the ROI and ROO of digital signage increases when the cost of the process decreases. WordPress is free, and so are the leading third-party plugins. You may want to pay for the themes since the premium themes bring with them a flurry of customization options and extensive features to support a myriad of content types. Moreover, it makes the entire process DIY-friendly! Do not skimp on hosting options. Go with private hosting to ensure smooth and fast display. If you have the budget, manpower and the plans to use digital signage in the future, it makes more sense to buy a few dedicated screens. Even the common HD LED TV screens can moonlight as digital display screens if you have the right engineering knowhow. This will save you recurring costs of renting the platforms and reduce the cost in the long run. Nonetheless, WordPress brings forth a host of new features to reduce the operating cost of digital signage.